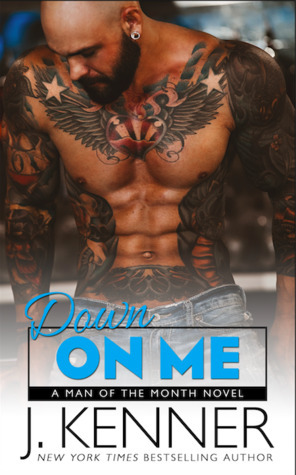 #1 New York Times bestselling author J. Kenner is LIVE! Hold on Tight is the second read in the Man of the Monthseries by J Kenner. It’s not as long as the first book, Down on Me as that book set the scene for the series. This is Brooke and Spencer’s story. They have a history – she left him on the day of their wedding – but they haven’t seen each other for years. They’ve been thrown together because of the reality show that Brooke had pitched that’ll focus on the improvement to The Fix on Sixth. Spencer is harbouring a whole world of hurt, anger and need for revenge but he’s never really gotten over his ex-fiance. Brooke has never stopped loving him even though she was the one to run. AS the story unfolds we find out that there’s a helluva lot more to why Brooke bailed on Spencer but he has no idea and she begins to realise that if they are to have any possibility of a second chance she’ll have to tell Spence the truth. A great instalment in the series and a really good read. I can’t wait for the next Man of the Month book. 4* recommended read. Though a part of the series, each installment could be read as a standalone. Posted on 30/01/2018, in Authors & Books, Blitz, Blurb, Favourites, More in the Series, New Releases, Recommended, Reviews, Teaser and tagged @jennw23, @juliekenner. Bookmark the permalink. Leave a comment.